Also, the instructions I received by telephone with your people helped to make this all possible. 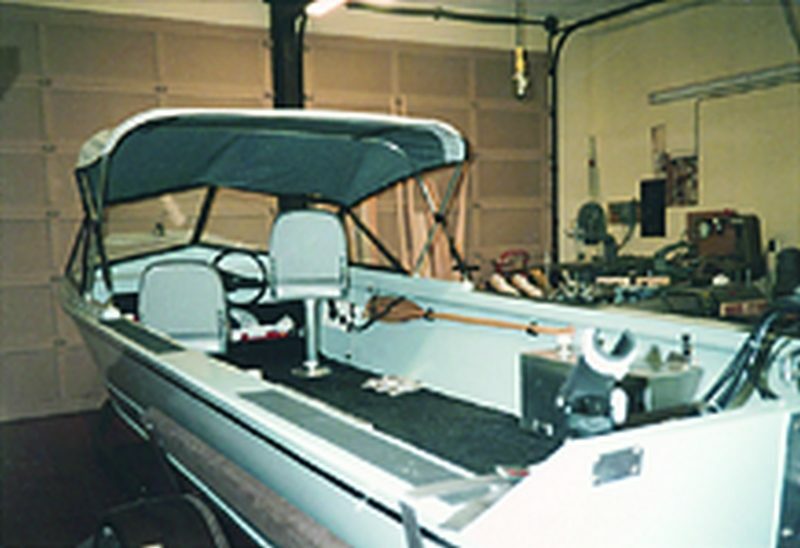 I am a firm believer in WEST SYSTEM® epoxy and always have some on hand in my hobby shop.” The project took six months to complete. 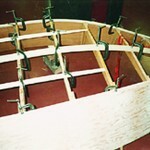 Oak frames and stringers were bonded with epoxy. 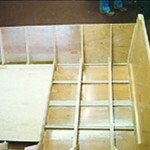 The bottom and sides were coverd with 1/2″ marine plywood. 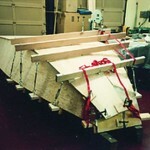 The plywood bottom was bonded to the frames with epoxy. Mr Heavner’s claming method assured a good bond at all contact points. After fairing the hull, it was sheathed with fiberglass cloth and epoxy before painting. 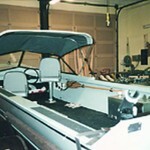 All joints and surfaces were on the interior of the hull were sealed with epoxy. Although heavily built, it will operate in as little as 8 inches of water. 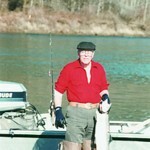 Mr. Heavner outfitted his boat with a 90 hp. 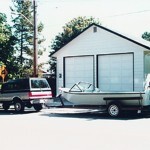 outboard with a jet pump.